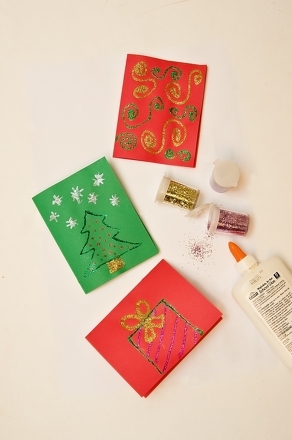 With some crayons and card stock paper homemade Christmas cards are easy and fun to make. Let your young artist make his mark on this winter time scene for a happy holiday! This Merry Christmas card is a happy holiday greeting to send to friends and family. Print this Merry Christmas card this holiday season. Send a holiday greeting with this printable Christmas card, featuring these adorable and festive penguins! This Santa Christmas card is easy to print and sign for a last-minute holiday greeting. Print out a set of Santa Christmas cards for you and your family. This snowman Christmas card is easy to print, sign, and send to friends and family. Get this snowman Christmas card to help make your Christmas season bright. It just needs some colour for an artistic touch and it becomes a Hanukkah greeting card! This Teddy Bear Christmas card gets your child to celebrate the holiday with some fuzzy friends. Print out this Teddy Bear Christmas cards this holiday season. 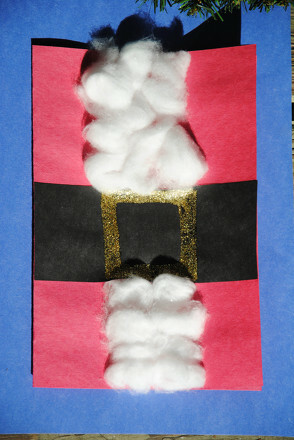 Give a holiday greeting that everyone will remember by making this tactile card with your child this year. This is a fun activity and a Christmas card too! Let your child get creative and draw Santa's features, then add some festive colors to this fun card. Break out the markers and crayons and let your little one colour the Christmas cards this year! This jolly Santa card is sure to delight friends and family. Use this blank Santa card to give to your child as a template. Have her use her vocabulary and writing skills to draft a letter to a friend for Christmas! Your child will have fun making her own greeting card.